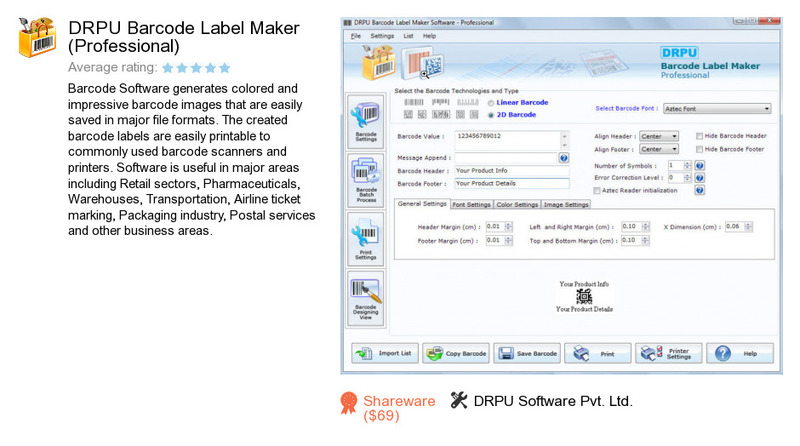 DRPU Barcode Label Maker (Professional) is a software program developed by DRPU Software Pvt. Ltd.. We know of versions 9.0, 8.2, 7.3, 7.2. Version 9.0.1.1 is available for download at our site. DRPU Barcode Label Maker (Professional) distributive has a size of 5,338,946 bytes. DRPU Software Pvt. Ltd. also publishes DRPU Forensic Software - Pocket PC (Evaluation) and DRPU MSI to EXE Creator.